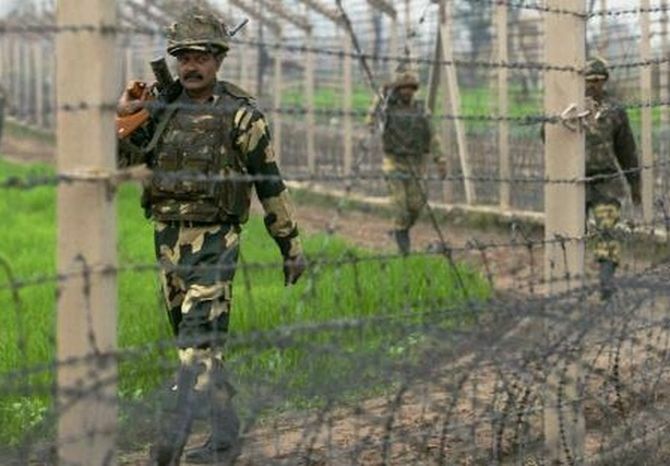 As many as 513 ceasefire violations by Pakistan have taken place along the line of control (LoC) in Jammu and Kashmir in the past one-and-a-half month and the Pakistan Army has suffered five to six times more casualties than the Indian Army in the retaliatory action, a senior officer said on Saturday. The Pakistan Army also used heavy weaponry like mortars and artillery guns in over 100 times during these violations and targeted civilian areas but was given a befitting response by the Indian Army, General Officer Commanding (GOC) of White Knight Corps Lt. Gen. Paramjit Singh told reporters in Rajouri. “Almost 513 ceasefire violations happened in the past one-and-a-half month and over 100 times during these violations, the Pakistan Army used heavy weapons like mortars and artillery guns and targeted civilian areas. Only yesterday [Friday], four civilians, including two girls, were injured in Poonch,” the GOC said. “However, as per our sources, the Pakistan Army suffered five to six times more casualties than the casualties on our side,” Lt. Gen. Singh said. Ten people, including four security personnel, have been killed and nearly 45 others, mostly civilians, injured in the twin districts since India’s preemptive air strike on a Jaish-e-Mohammad (JeM) terror camp in Pakistan’s Balakot on February 26 in response to the February 14 Pulwama terror attack in which 40 CRPF personnel were killed. On the sniping incidents from across the border, Lt. Gen. Singh said such incidents had come to a naught over the past several months, especially after the Balakot strike. Why Jammu Division needs more districts? In Kashmir- They threw away Pakistani flag to pick this flag!